As coffee lovers, many of us aspire to achieve at-home barista status, where we can brew anything from an Americano to a latte from the comfort of our pajamas. If you are ready to take this step, chances are you are going to need an espresso machine. However, if you’re still a novice or you’re especially groggy in the morning, you probably won’t want to deal with a manual espresso machine. So we’re here to help you sort through the other side of the coin: choosing the best automatic espresso machine. How Auto Can You Go? So when it comes to “automatic” machines, you have a lot of options. The main thing that differentiates them is how much you are physically involved in the brewing process. 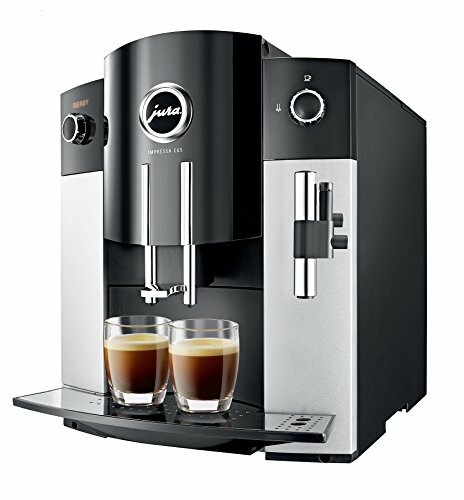 Basically, an automatic espresso machine allows you to start it, but it pulls the espresso shot for a preset amount of time. Some machines let you change that time; others do not. For the most part, very few machines are marketed as simply automatic. This is because a lot of automatic machines look and feel like semi-automatics and have redundant features that make them nearly identical. Also, some automatic machines have little extras that put them nearly in the super-automatic category. Semi-automatic machines are basically one step more involved than the “baseline” automatic. These allow you to control the grind setting as well as the pull time, giving you more direct influence over your final result. Like automatic machines, these require you to grind and tamp your own grounds, which can be a blessing for people who want to experiment with their brew. However, it can be a little confusing if you’ve never done it before. These machines are our personal favorites because they balance practicality and ease-of-use with customization and personal-touch. So, even though they aren’t fully automatic, we’ll include some of our top semi-automatic picks. Super-Automatic machines are just automatic machines with bells and whistles. They often come with their own built-in grinders and milk frothers, which is what really sets them apart. You also usually don’t have to do your own tamping, meaning you really get to just sit and relax while your at-home barista does it all for you. With a super-automatic, you’re pretty much asking the machine to take the reigns. With some machines, you’ll get highly specific customization options, which is nice if you’re a control freak. However, not all machines are that customizable, so you might just have to accept that machine’s way of doing things. 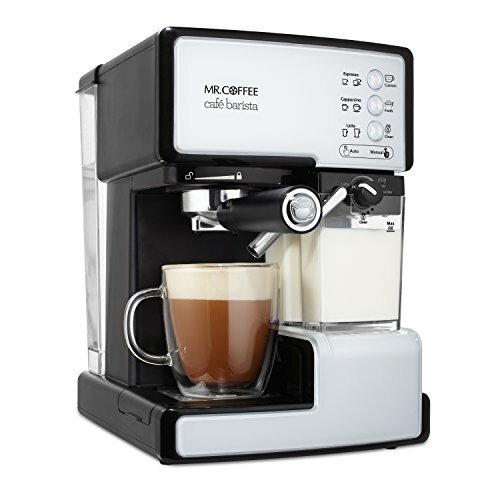 If you are looking for an easy affordable machine, Mr. Coffee’s Café Barista is for you. It’s often labelled as a semi-automatic but it does feature automatic options and simply has semi-automatic redundancies built in. Meaning it can adapt to your experience level pretty easily. 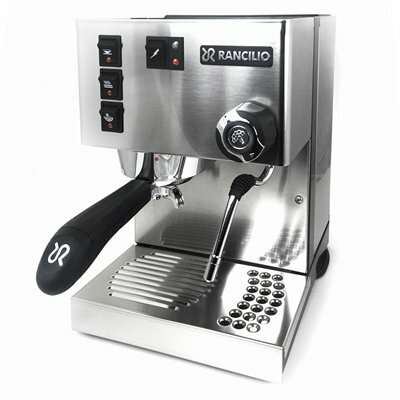 It also features an automatic milk frother, one touch control panel, adjustable cup tray, and removable reservoirs. In sum, these features make the Café Barista simple to operate, easy to clean, and delightfully user friendly. We recommend this for people who are just getting started with at-home espresso brewing. The main complaints we have for this product are the cheaper parts and weaker espresso. The lower-end parts mean this isn’t going to last you forever. Because this is an entry-level item, the espresso you brew won’t really stand up to really high-end machines. If you are looking for a high-end, compact espresso machine, the Anima is the way to go. Featuring everything from Rapid Steam technology and one-touch auto frothing to a sleek LCD and ceramic burr grinder, this machine gives you great espresso and is a dream to use. The Anima has a lot of other notable features including: pre-infusion, a removable brew group, a programmable descaling cycle, energy saving auto-off, and stainless steel paneling. With this machine you can expect reliable, impressive results as well as a decent amount of customization. It has a 5 grind setting burr grinder and the coffee dispenser is adjustable (in case you have an odd size cup). It also includes 3 temperature settings and programmable brewing options. While twiddling your thumbs while a machine does all the work isn’t ideal for some coffee fans, this machine is great for those who don’t mind relinquishing a good bit of control for convenience. Lastly, a common complaint is that, when things do go wrong with this machine, customer service and the resulting repair process can be particularly difficult to navigate, even with the 2-year warranty. 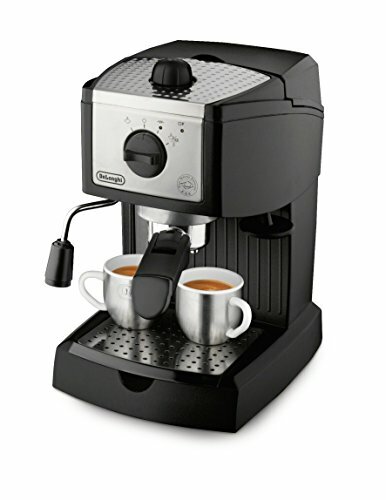 The De’Longhi ESAM3300 is a great mid-range option from a reputable espresso machine company. 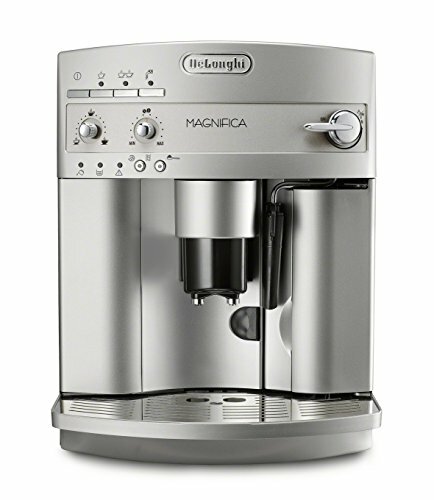 De’ Longhi is known for making affordable, high quality small kitchen appliances, and this machine is no exception. The built-in burr grinder guarantees freshness every time you brew. It also includes a double boiler, specialized cappuccino system, an auto-off feature, and a 60 oz water tank. These features give you the luxury of a super-auto machine, but the manual steam wand and customization options give you a good amount of flexibility. The only shortcomings we’ve found with this machine are that the grinder can be a little loud, and it doesn’t work as well with dark (oily) roasts as it does with medium roasts. If you have a bigger budget, the Barista Touch is hands down the machine to get. If you are spending $5+/ day on coffee, it’ll pay for itself in less than a year. And it has everything you could want in an automatic espresso machine. With this machine you’re getting the best of both worlds: automatic capabilities with semi-automatic flexibility. It’s nearly identical to the more expensive Oracle model; it’s just smaller and doesn’t have automatic tamping. But with easy-to-follow prompts on the LCD and consistent, delicious brews, the learning curve is easy to manage. So if you can handle the price, this is a great machine to buy. If you can’t quite swing the Barista Touch, this is another high-end espresso machine, just a couple hundred dollars cheaper. The biggest selling point for the Jura Impressas is the Aroma+ technology, which helps improve the efficiency of the grinding process. These machines are also super easy to operate with their three step system. It’s also fairly compact. However, the steam wand is a little lack luster and the shiny finish means you see all of the fingerprints. But otherwise this is a great quality machine that’s worth the investment. Overall, the Barista Express is our number one top pick. This machine is semi automatic, and it’s reasonably accessible whether you’re a beginner or a professional. It’s similar to the automatic Barista Touch, with few less bells and whistles. It has some automatic features but emphasizes the semi-automatic ones more. It includes a built-in stainless steel conical burr grinder, clean me light, 1/2 pound sealed bean hopper, 54 mm tamper, steaming wand, and frothing pitcher. Pretty much anywhere you look, this machine comes highly recommended. The main drawback is the price, but it’s still cheaper than most super-automatic machines. The EC155 is your best budget espresso machine. It comes at a much lower price point but doesn’t sacrifice too much in terms of quality. This De’Longhi has a durable, stainless steel boiler and allows you to use both coffee pods or your own grounds. The water and steam pressure can be altered so that you can get your perfect cup of espresso after a bit of practice. The main complaint we have is that you have to purchase your own grinder and milk pitcher separately. But it’s still pretty user friendly and makes a starter machine. This is another one of the most recommended machines available to consumers. 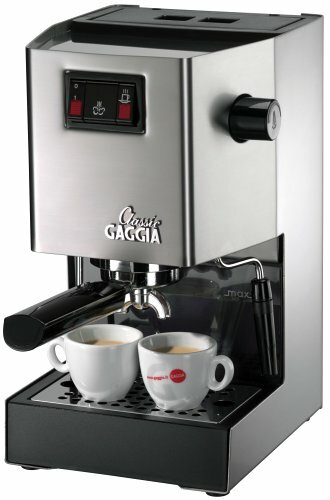 The Gaggia Classic is fast and easy, making it a great mid-range machine. This is another wonderful choice if you are new to the espresso-brewing scene. It’s easy to operate and is compatible with both ESE (easy serve espresso) pods and your regular grinds.This machine is made mostly of stainless steel too, so it will last you a good amount of time if maintained properly. Speaking of maintenance, this machine can be a little tricky to clean. The frothing wand is also a bit ungainly. But overall, this is a good middle of the road option for beginners. The Silvia is a durable, high-performing semi automatic machine. It’s ever touted as being able to produce the “perfect espresso.” If you are serious about your espresso, this is the machine for you. 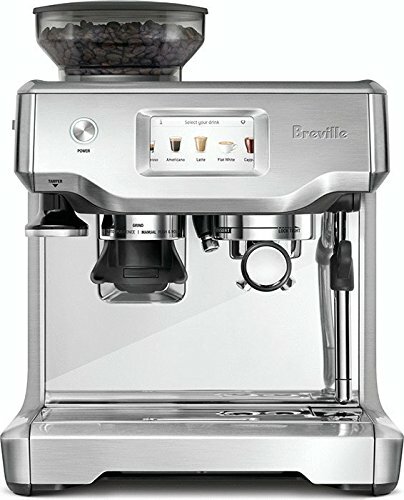 This model isn’t as expensive as a Breville, but will give you much better quality than the lower-end, cheaper options. When paired with a high quality burr grinder and freshly roasted beans, the Silvia will give you an incredible shot of espresso. Also, the group head is commercial grade and the portafilter handle is well-designed. Our only complaint is that you do need to purchase accessories (like a grinder), which is a little inconvenient at the higher price point. 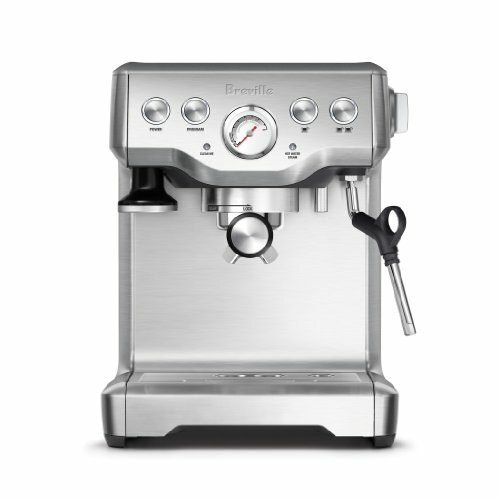 Durable, stylish, and professional, the Breville BES840XL is truly a marvelous machine. 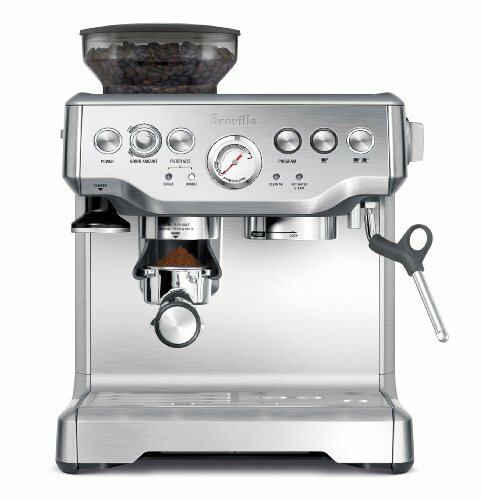 If you’re looking for complete control over your brew and high quality results, consider this Breville. This Breville features two boilers and two pumps and plenty of programmable features, there isn’t much wanting with this model. It also has an over-pressure valve, pre-infusion function, and programmable volumetric control to guarantee the perfect pull. If you’re into diary, the steaming wand swivels 360 degrees. Also, this machine has an auto-start function, backlit LCD, and audio alerts, an integrated tamper, stainless steel frothing jug, and cleaning supplies. Our only reservations are that it’s relatively new to the scene, and while it seems durable and reliable, it has yet to really prove that in practice. Still not convinced to get one of these machines? Not sure of what exactly you could do with one? We’ve got you covered. The classic, rich espresso is the base of a lot of different caffeinated beverages. But it can also be enjoyed all on its own with the delightful crema on top. This will be better with a higher end machine, because you will really be able to appreciate the quality of the drink. It’s especially nice when you really need that caffeine kick. If an espresso is too much for you, but you don’t want to fool with steaming milk, the Americano is the way to go. Half water, half espresso, this is a longer, more diluted option. However, since the espresso flavor features heavily, this drink is also best enjoyed brewed with a high-end machine. A Lungo is basically an Americano where the water is added during the brewing process, rather than afterwards. You can make these with more flexible machines, especially semi-automatics. The Ristretto is the opposite of a Lungo; half of the usual amount of water is used to brew the espresso shot. This is a great option for people who like their espresso STRONG. So get a machine that you can rely on to make a great brew. While you could make a latte without an espresso machine, we honestly recommend trying it with one for the best results. You’ll need a good steaming wand for this milk-based beverage, so look for options with high-quality, easy to operate wands. 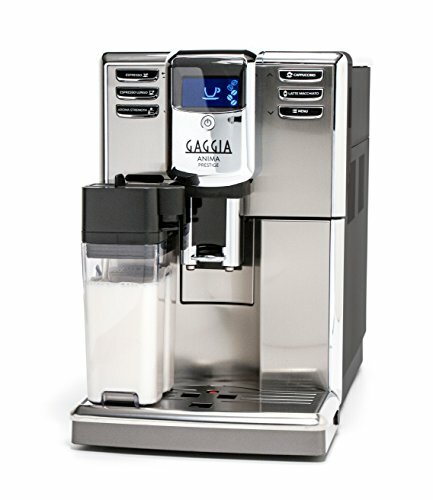 With an espresso machine, you have the luxury of making either an espresso macchiato or latte macchiato. For either of these options, you’ll need a steaming wand. When making an espresso macchiato, it’s more important to have a good espresso. For the latte macchiato, the steaming wand is more important. This classic Italian drink is a combination of equal parts espresso, steamed milk, and milk foam. For that reason, a good mid range machine should work great, as you will get decent quality espresso and a good steaming wand. Low-end portafilters are much smaller than the standards you’ll find in a commercial setting. So if you’re looking for an experience that similar to your local coffee shop, make sure your group head accommodates a portafilter that can hold 16-22 grams of grounds. This mainly affects the size of the shot you can pull, rather than the overall quality of that shot, which is affected more by the coffee beans themselves. Speaking of beans, let’s talk about grinding them. Some higher end machines have a bean-to-cup feature that grinds your beans right when you start. These are generally more expensive, but if the machine doesn’t have it, you’ll need to get a separate grinder. If you do opt to get your own grinder, go here to figure out which one will work for you. We recommend flat burr grinders. Another internal mechanism to look at is the power behind the pressure of the espresso machine. The pressure is vital to creating a good espresso. While steam is the “classic” and cheaper option, these machines can often suffer from inconsistent pressure, meaning inconsistent results. Pump-powered machines give you more control over the temperature and pressure of the brewing process and are generally the worth the extra cost. The espresso “sweet spot” is achieved at 195 degrees Fahrenheit with 10 bars of pressure. Single boiler options are generally cheaper and slower on the heating uptake. On the other hand, while double boilers are faster at getting to the sweet spot, they’re much more expensive. So if you aren’t on a constant time crunch and you’re looking to save some money, a single-boiler will probably work for you. However, if you’re brewing for multiple people or just impatient, you might want to spring for a double boiler. 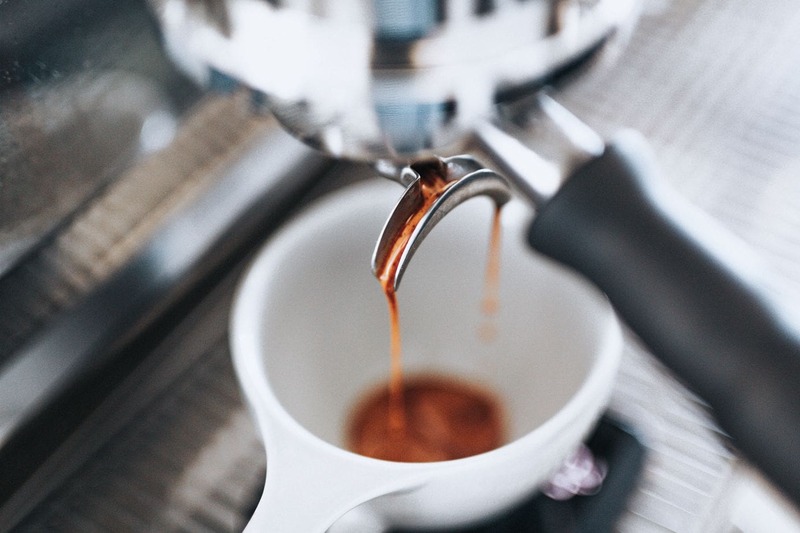 If you don’t feel like constantly refilling a water reservoir, some espresso machines allow you to connect directly to a waterline in your kitchen. However, most people are fine with a larger water reservoir. If you don’t drink a lot of espresso every day or you don’t mind refilling the reservoir, you can save a bit of money by getting a machine with a smaller reservoir. Also, if you like tea or an easy way to pre-warm your cup, some machines feature a secondary water spout. This option isn’t exactly necessary, but it is a nice touch. One thing to consider with these machines is how easy they are to maintain. Removable components tend to make things easier to clean, but you do usually have to deep clean your machine to keep it functioning at full capacity. This article will give you a step-by-step on how to keep up with your machine. At some point though, you do have to consider the quality of the materials inside your machine. Plastic tends to deteriorate faster than things like stainless steel, so your maintenance efforts can only keep a lower-quality machine going for so long. If you are particular about how your espresso is brewed, you have two options. You can either get a good semi-automatic machine or a high-end super automatic machine. Low-quality automatic machines aren’t going to give you the flexibility you require. With a semi-automatic machine, you will have to put in more physical effort and practice to get the perfect brew. However, once you get used to it, you should be able to get exactly what you want. On the other hand, high-end automatic machines should give you plenty of programmable options that will allow you to customize your brew with a few button presses. So this category really comes down to price and convenience. Semi-automatic machines are cheaper but require more effort on your part. Super-automatic machines are significantly more expensive but are usually much easier to operate. While we all aspire to be ultra-talented at-home baristas, you have to start somewhere. And sometimes it’s better to practice on a cheaper, user friendly machine than it is to jump straight into the dream machine that might just overwhelm you. If you already have a bit of experience, it might be worth it to save up a bit to invest in a machine you know will last you a long time. That way, you know you will be able to use it without too much trouble and you’ll be able to get a truly high-quality brew. But if you want something to test run before really committing to a machine for the next decade, get a lower-end machine. That way, you can get an idea of what features do and do not matter to you. There are a few brands that are known to be reliable with good-quality machines regardless of the price point. A lot of these brands make an appearance on this list including De’ Longhi, Breville, Gaggia, Rancilio, and Jura. However, while all of the brands featured here produce great appliances, they are produced in different places. Some of them are Italian while others are UK-based. And some companies have their machines produced in China. Thus, it may be worthwhile to check into a brand and their production policies to see if they align with your personal ideals and opinions- even if it won’t really affect the quality of your espresso. Hopefully, you are able to use this list and the information we paired with it to make an informed decision when selecting an espresso machine. If you're on the market for an espresso machine, you should probably be considering De'Longhi's products. When you're dealing with this kind of quality, it can be hard to figure out which one is the best De'Longhi espresso machine for you. But don't worry; we've got everything you need to know right here on Roasty.